the Lady Washington & Hawaiian Cheiftain relocate to Channel Islands Harbor. 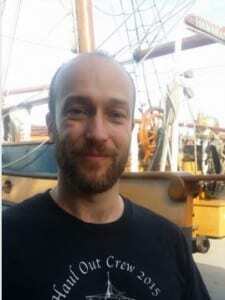 Click image to hear a message from Captain Johann Steinke. and then come back to Ventura Harbor Village to celebrate your adventure with a meal or some shopping. Tall Ship Instagram Photo Contest! From now through 10 am on February 9th, post your best shot of these beautiful vessels in Ventura County. Tag it with @VenturaHarbor and #TallShipsVentura. The grand prize winner receives a $50 gift certificate to the Rhumb Line- The Sunset Restaurant. Two runner ups win a $30 gift certificate to the shop of their choice in the Ventura Harbor Village. 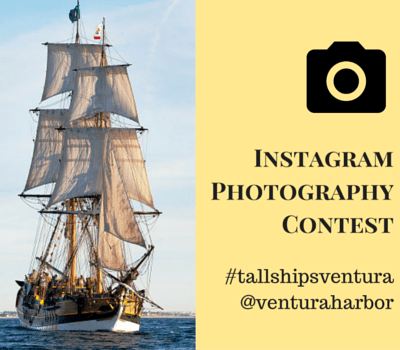 RULES: Photos must be of Tall Ships and taken from or in the Ventura County (Ventura or Oxnard). You may post as many photos as you wish. Past or present photos qualify. Winner announced on IG on February 10th so be sure to follow us! Have fun and good luck!